❧ The effects for video, filters and amazing new live video effect we’ve designed for clips let anyone make great-looking, easily shareable videos with just a few taps. 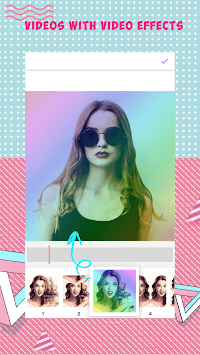 ❧ Create a fast and awesome slideshow with selected photos and music. 🔔 Looking for a video editor with effects for video that will give you the opportunity to edit, enhance, and transform your videos? You’ve found it! Video Maker - Video Pro Editor with Effects&Music offers more than 160 professional filters to get your creative juices flowing. Applying world of effect – Old Movie, Mosaic, Invert, Camera Shake, and more – will help you turn your video clip into a work of art. 🔋 You can import multiple clips at once and start editing them. It offers many sound effects to let you give the desired soul to your masterpiece. And yes, you also have tons of stickers to add some fun element to the movies. 🏮 Choose from various available sound effects or add music from your library. You can also add voice-overs to the videos and make the most of the filters to add the additional charm to the project. 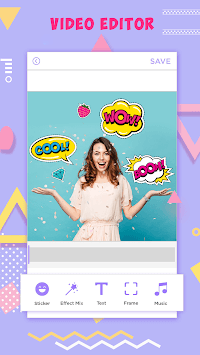 🍉 Video Maker - Video Pro Editor with Effects&Music can edit video with great video editor effects tools in the photo video maker with the music app. 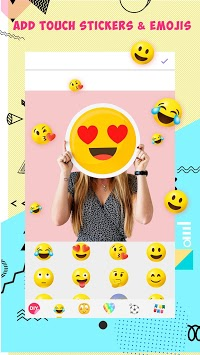 There are many cool video filters and effects for musically for you to choose: music notes, kiss, like, heart, icon, ... make sure your videos will become more unique than ever with video and picture slideshow maker. The original monotone video will be full of art after you use this feature in the video maker of photos with song app.